(TibetanReview.net, Jul04, 2017) – In what is seen as a fallout from the prolonged ongoing standoff between Indian and Chinese border troops at the strategic Doklam border site in Bhutan, China has called off an annual media junket to Tibet sponsored by it for a group from India and Nepal. The aim of the junket is to encourage positive media coverage on China’s rule in Tibet by journalists from the two countries. The report also quoted Agni Roy, Senior Editor with Ananda Bazaar Patrika as saying, “We all were waiting to go to Tibet. My passport is still deposited in the Chinese embassy as I was supposed to get my visa on Monday (Jul 3). It is really disappointing”. The trip, involving five journalists each from India and Nepal was to commence on Jul 8 and continue till Jul 15. Tibet is barred for entry by foreign journalists, with only sponsored and guided tours being arranged by the government of China on rare occasions. 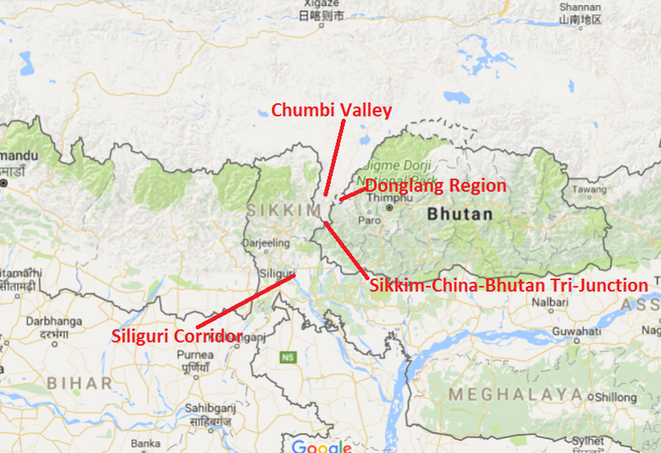 Indian stepped in to stop the Chinese from building a road in the Bhutanese territory. China maintains that the site belongs to it on the basis of an 1890 treaty with British India. Bhutan and China have held 24 rounds of talks over it since 1984. The former has issued a demarche to Beijing, asking it to stop the construction and calling the intrusion a violation of an existing agreement between the two sides.